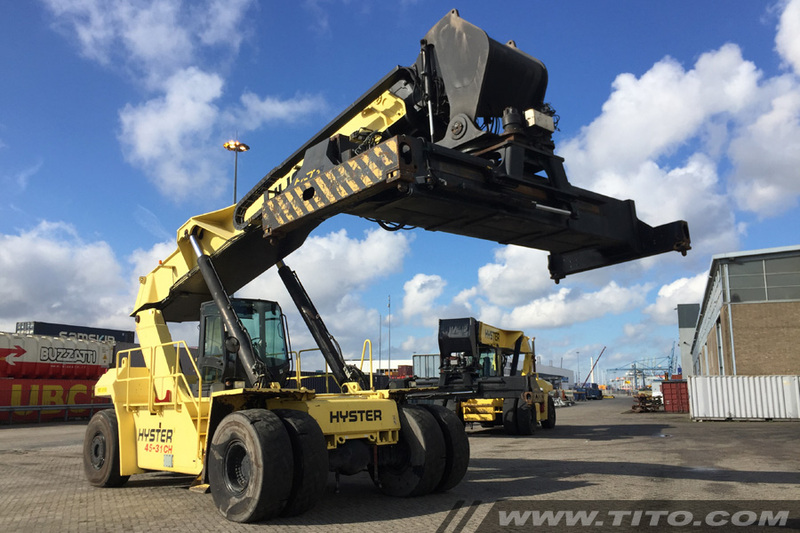 Extras Powered damping cylinders, 30' & 40' auto stop on spreader, automatic engine shutdown, air suspended seat, trainer seat, rear view camera, Groeneveld Twin automatic greasing system. Additional info Used machine in a good running condition. We can ship this 45 ton reach stacker worldwide and assemble it on-site.